With Christmas well out of the way and Lent appearing rapidly on a steady bearing, the Church’s season of Epiphany always seems to get overlooked. Now I’m sorry for beginning with such “Churchy” terminology which has doubtless switched you off already, but in a sense that sums up the challenge that is continually with us. Just how do we communicate to people and especially to young people, the forever truths of the Christian faith, anchored as they are in the reality of history, yet apparently contained in stories that are at best rather remote and at worst seen as nothing more than fairy stories? Whilst the bare bones of the Christmas story is believable in terms of events, once you begin to get into the idea of Jesus having been born “of a virgin” then most teenagers are going to think that’s pretty strange and difficult to understand and accept. Move on to the resurrection of Jesus, and again it’s pretty difficult stuff for bright, sparky, inquisitive youngsters simply to accept just “because it’s in the bible”. In my experience the answer to that statement has often been “so what! “. Now strangely the story of the Wise Men, exotic travellers from afar, might give us a bit of a clue as to how to approach all of this. Firstly, they were searching, following a lead, checking out a hunch, that weirdly in this child born into poverty and obscurity lay some answers to the deep questions of life. 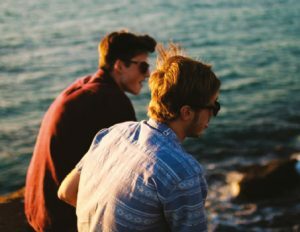 So, as you relate to young people, who are also searching for what life is all about, the emphasis needs to be on travelling with them as they respond to the questions that life throws up. Secondly it has to be the questions they are actually asking, rather than answering questions that have never even crossed their minds in the first place. And that you need to be prepared to respond too honestly, head on, even if it’s uncomfortable at times. It’s clear from recent Church research (take a look at the Youthscape “Losing Heart” research) that this is really significant, and where most Churches are failing. If you can do this, then the credibility you’ll get from those youngsters, sharing their questions and airing with them your doubts as well as your certainties, just might make them hang around long enough for them to gradually see that the faith is not about getting answers, but living with the questions in the way of Jesus, the way of love, joy, hope and peace in which he lived and for which he died. So, lives of integrity, that “practice what we preach” are the best way to relate to those young people. The doctrine can come later! As St Francis rather famously didn’t say “preach always, use words if you have to” is not a bad way to approach the really important work that you are engaged in. Having joined the Royal Navy in 1990, Martin has served in a number of sea-going and shore-side appointments, including HMS RALEIGH , Britannia Royal Naval College Dartmouth, HMS INVINCIBLE, HM Naval Base Clyde, RNAS YEOVILTON and HMS ILLUSTRIOUS. 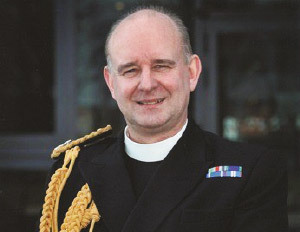 During his time in the Royal Navy Martin has been Staff Chaplain to the Chaplain of the Fleet, Staff Chaplain (Operations) and Principal Anglican Chaplain and Archdeacon for the Royal Navy, having also been appointed an Honorary Chaplain to the Queen. Martin was educated in Enfield, Middlesex, prior to reading English and Theology at the University of Kent at Canterbury (Christ Church College). Martin is a former member of 2nd Enfield Company and has many memories of camps and his time in the Brigade. Married to Diana and with children Katie (1 June 01) and Nick (18 Feb 97), he currently lives in Windsor Great Park, but the family home is in Huish Episcopi in Somerset.